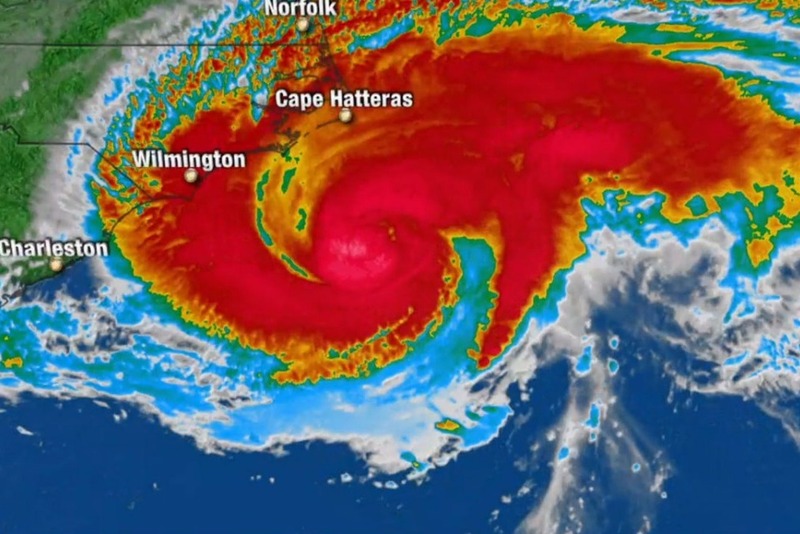 Hurricane Florence made landfall on the coast of North Carolina on Friday, September 14th 2018. It arrived as a Category 1 hurricane, but most of its danger came from its enormous amount of water, dropping almost 40 in. of rain in NC in a matter of 3 days. Flash flooding, dangerous winds and continuous rain damaged coastal towns, and cities inland as far as Charlotte, Raleigh, and South Carolina and Virginia (and are still damaging these areas as this is being typed). While many people evacuated, some stayed due to financial incapabilities, the inability for certain family members to leave, or simply their will to stay in their homes. People have been under intense physical and mental stress, and have lost their homes, livelihoods and so much more. The Charlotte Herbal Accessibility Project, alongside volunteers and collaborators will be traveling to the coast of NC and cities along the way (Charlotte included) that are housing evacuees in order to provide free herbal care. We will focus our care on centers that are housing those who have lost their homes or are currently unable to return, while also traveling into neighborhoods and other community centers. We will be bringing tea blends (depending on the setting, making tea to distribute), but will be focused on portable easy-to-take medicines like tinctures and salves. These tincture/tea blends will focus on helping to manage stress, regulate sleep cycles, ease anxiety, tension and worrying and to comfort them during these trying times, while also helping to build immunity, nourish the nervous system and regulate digestion (all systems that can be greatly affected during times of intense stress and grief). Salves will be focused on scrape/wound care, bacterial issues that may have been caused due to excess moisture (think not having rain boots and getting your socks and shoes soggy all day long), along with general care of moisturizing and hydration. We will also be providing more specific care depending on the situation/person etc., and we will be bringing a small amount of snacks and supplies, though our focus is on herbal medicines. This is being published the night of Sept. 16th (Sunday), and this coming week the goal is to be creating medicine from what the Charlotte Herbal Accessibility Project is currently able to provide, hopefully receiving donations here and in person in Charlotte along with herbal donations, contacting local companies about possible donations of snacks, and arranging a list of supplies (including herbs) that we will purchase once we have the financial capability (most likely through local herb distributors in Asheville and Charlotte, and from Mountain Rose Herbs online). I as the creator of this, am capable of going each week for 2 full days to the coast over the next many weeks, leaving early and working full days to provide these medicines. So there will be ideally around 3 trips in total. What is unknown is when roads to some of these places will be open again, as major highways and backroads have been flooded along the coast, even here in Charlotte, however as soon as we know we are able to travel, we will do so. Some medicines created may leave in the hands of reliable sources also going to provide relief, so no matter if they do not go with us, they will end up where they need to be with proper instructions on labeling and easy access. If you are unable to help through financial donation, and would like to assist through herbal donation, volunteering directly, or helping us contact those in need the most along the coast (or if you have any questions in general), please send us an email: cltherbalaccessibilityproject@gmail.com. You can find us on Instagram: @clt_herbalaccessibilityproject or Facebook: CLT Herbal Accessibility Project for day-to-day updates in our progress! Again email is best for herbal donations, however we are able to pick up donations in Asheville, NC. Thank you so much for your support and belief in herbalism as a vehicle for powerful change. The Charlotte Herbal Accessibilty Project is a soon-to-be non-profit based in Charlotte, NC that ensures equal and affordable access to herbal medicine in communities throughout the city. We firmly believe in the right to have affordable and convenient access to herbalism as a whole, from seed to tincture, and that herbalism is a powerful vehicle for social change. We work with plants and teach about the relationships that can be built with them in order to establish a deeper connection to yourself and the environment, while healing alongside these processes. It is in our DNA to work with plants, and we are accelerating the re-discovery of this through our work, in Charlotte and beyond. Our website: www.cltherbalaccessibilityproject.org will be up and running within the week! Brandon Ruiz is a community herbalist, permaculture designer and runs the Charlotte Herbal Accessibility Project. He can be contacted for more info through Facebook (Brandon Ruiz) or Instagram (@ruiznodnarb). Hi everyone! Just an update with how things are going! I’ve purchased lots of herbs, equipment for salves like oils and shea butter, gallons of vegetable glycerin that should be here soon, and lots of tincture bottles. So many amazing local and herbalists throughout the U.S have donated lots of equipment and herbs, so that has been super helpful! I have had numerous friends join in medicine making, and we’ve got infused honeys, oils waiting to be strained and turned into salves and tincture blends ready. Tomorrow (Wednesday) we may venture east from Charlotte, in hopes of stopping in Coharie indigenous lands to provide care and support, possibly moving further to New Bern, although roads are still underwater/in terrible condition. For more details on what’s happening please follow us on Instagram: @clt_herbalaccessibilityproject or under the same name on Facebook! Thank you soooo much to everyone who has donated their time/resources/monetary exchange! Please keep sharing with friends and family!